Former energy mogul Don Blankenship hinted that his 2018 U.S. Senate campaign was not over shortly after a disappointing but notable third place finish in West Virginia’s Republican primary earlier this month (19.9 percent), and now his plans are clear – announcing on Monday his intention to run as the Constitution Party nominee. The Constitution Party has fielded nominees in two of the last three U.S. Senate races in the state, but Blankenship may yet face a hurdle with the state’s ‘sore loser’ law (an election law adopted in many states preventing a loser of a primary to get on the ballot by becoming the nominee of a minor party or as an independent candidate). 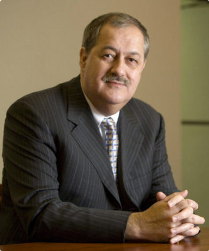 Blankenship is intending to challenge that law, and, if he’s successful, is assuredly going to demolish the all-time West Virginia record for the best showing by a third party candidate in a U.S. Senate election. To date, 12 West Virginians have landed a collective 19 times as third party candidates on the U.S. Senate ballot across the 38 general and special elections for the office in state history. None of these 19 candidacies were able to secure even three percent of the vote with only two reaching the two percent mark. The best showing in state history was turned in by Richwood mayor and Mountain Party nominee Bob Henry Baber who won 2.96 percent in 2012 as Democrat Joe Manchin was comfortably reelected to a second term by two-dozen points over Republican John Raese. [The Mountain Party became the West Virginia affiliate of the Green Party more than a decade ago in July 2007]. In 2000, Libertarian physician Joe Whelan claimed 2.1 percent in a race incumbent Robert Byrd won in a blowout by 57.6 points over GOP nominee David Gallaher. During the first two decades of direct U.S. Senate elections, Socialist and Prohibition party nominees appeared on the general election ballot six and three times respectively in West Virginia. Socialist support peaked with G.A. Gneiser’s candidacy in the inaugural 1916 contest with 1.7 percent. Physician M.S. Holt (mayor of Weston and father of future Democratic Senator Rush Holt) ran four times as a Socialist for the office: in 1918 (1.1 percent), 1922 (1.3 percent), 1924 (1.4 percent), and 1928 (0.1 percent). J.H. Snider was the last to run under the Socialist banner, winning only 0.1 percent in 1936. The Prohibition Party nominated Fairmont Reverend John MacDonald in 1930 (0.2 percent), 1934 (0.5 percent), and 1936 (0.1 percent). For the next 17 elections from 1940 through 1978, only major party candidates appeared on the ballot in West Virginia U.S. Senate contests. That drought was broken in the early 1980s when the Socialist Workers Party nominated William Howland in 1982 (0.8 percent) and Mary Radin in 1984 (0.5 percent). [Radin is the only woman to gain ballot access in a West Virginia U.S. Senate race from a third party in state history]. Over the last seven election cycles since 2000, a total of eight third party candidates have landed on the ballot. Overall there have been six Socialist nominees with four from the Mountain Party, three Prohibitionists, two Libertarians, two Socialist Workers, and two Constitution Party nominees. The Constitution Party has achieved some success in the past by recruiting former Republican candidates, most notably in 2010 when former five-term GOP Congressman and 2008 presidential candidate Tom Tancredo won 36.4 percent in Colorado’s gubernatorial race – good for a second place finish. Will Blankenship’s candidacy affect the outcome of the state’s U.S. Senate race as Republican Attorney General Patrick Morrisey attempts to unseat Senator Manchin? The GOP is assuredly worried it will, although that would be another first in the state. To date, no victory margin in a West Virginia U.S. Senate election has been less than the percentage of the vote given to third party candidates in the race. But none have had the resources or profile of Blankenship. Be the first to comment on "Don Blankenship’s 3rd Party US Senate Campaign Would Shatter West Virginia Record"